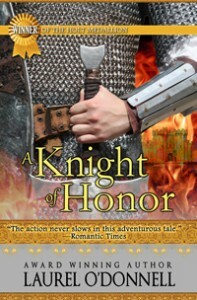 For this week’s Medieval Romance Monday, we are featuring A Knight of Honor by Laurel O’Donnell. This entry was posted in Blogs, Medieval Romance Monday and tagged a knight of honor, laurel o'donnell, medieval romance monday. Bookmark the permalink.